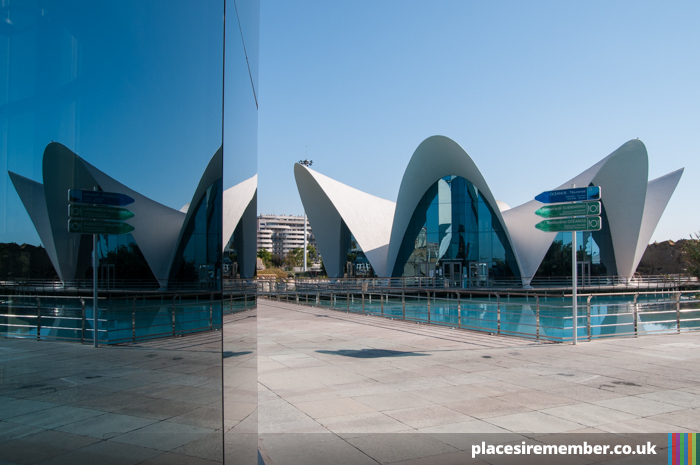 Valencia’s Oceanogràfic was opened in February 2003 during the third phase of construction at the City of Arts and Sciences, an impressive collection of modern architecture situated at the south end of the Jardins de Turia. It remains the largest aquarium in Europe, with six distinct sections – or ‘habitats’ – of the park set out within its 110,000 sqm of land. 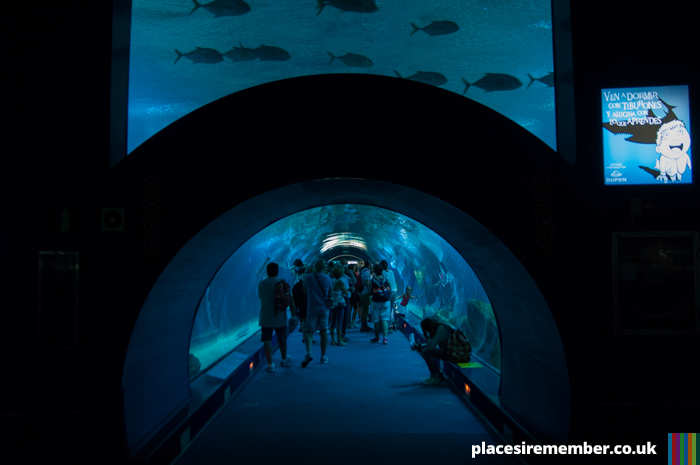 Popular sections include two lengthy underwater tunnels – one of which is a 7 million litre tank consisting of sharks, rays and a variety of other ocean life, and the other takes you through a brightly-lit tunnel of tropical fish. 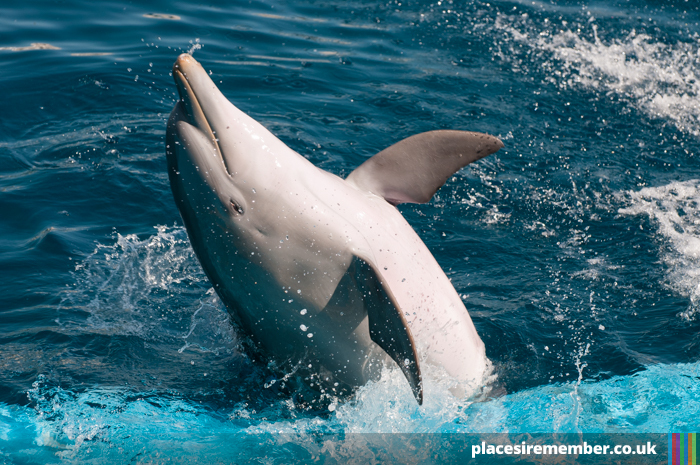 The Oceanogràphic also contains Europe’s largest dolphinarium, where daily dolphin shows take place in front of audiences of up to 2,000 people. Another of the habitats is large spherical enclosure housing rare birds, as well as turtles and fresh water fish. 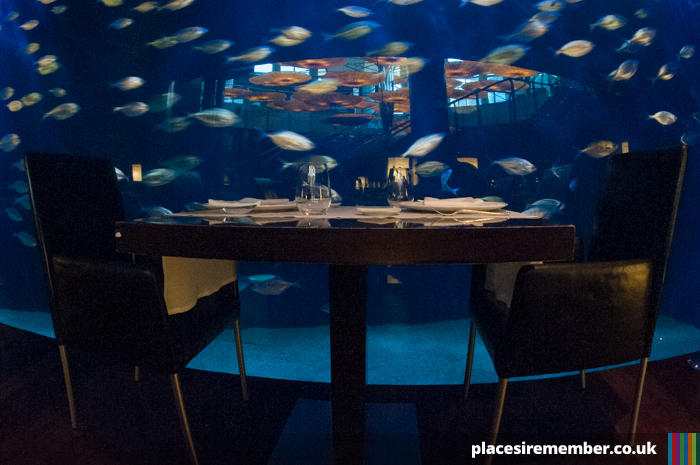 And in the centre of the complex is the Restaurante Submarino, a restaurant below ground level but with a large floor-to-ceiling tank of fish on the perimiter of the circular-shaped restaurant area. Reservations are mandatory, and can be made through the website. At almost €30 it’s not the cheapest attraction, though a full day can easily be spent at the park, and family discounts are available – as are combined tickets that include admission to two or three of the attractions within the City of Arts and Sciences over consecutive days.